Quick Update: Sacramento – There’s no place like home. So it’s been a long, long while since I actually posted something here. Since it’s been a while… let me give a quick update. I’ve been stationed in San Antonio for nearly 3 years now and, in my experience, this city is just okay but others my beg to differ. Don’t get me wrong though; the cost of living here is very affordable, the town is military friendly, and… that’s basically all I can think of at the moment. I recently came back from a quick trip to Sacramento, California. Being a person that was born and raised in this city, it was good to be back. One thing to note about being back home was the noticing how much more diverse Sacramento is compared to San Antonio. The Alamo City population is predominantly Hispanic/Latino. Being back home in a diverse city had its perks; GREAT FOOD! which typical comes with a soup (either egg drop or hot & sour), an entree, and a side of steamed rice, fried rice, or chow mien. 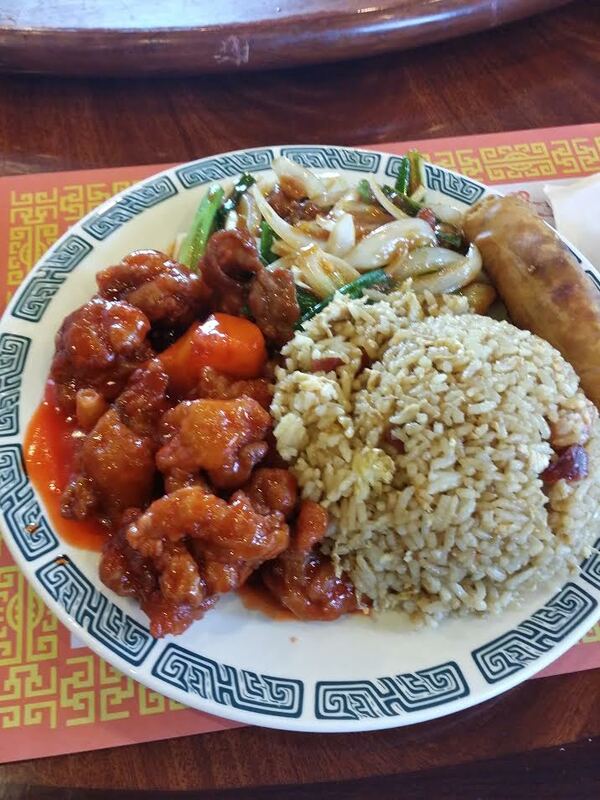 I ordered the #8 which comes with an Egg Roll, Sweet & Sour Pork, Mongolian Beef, and Pork Fried Rice. I also opted for the egg drop soup. Man, Just looking at the picture while typing this is making me hungry. 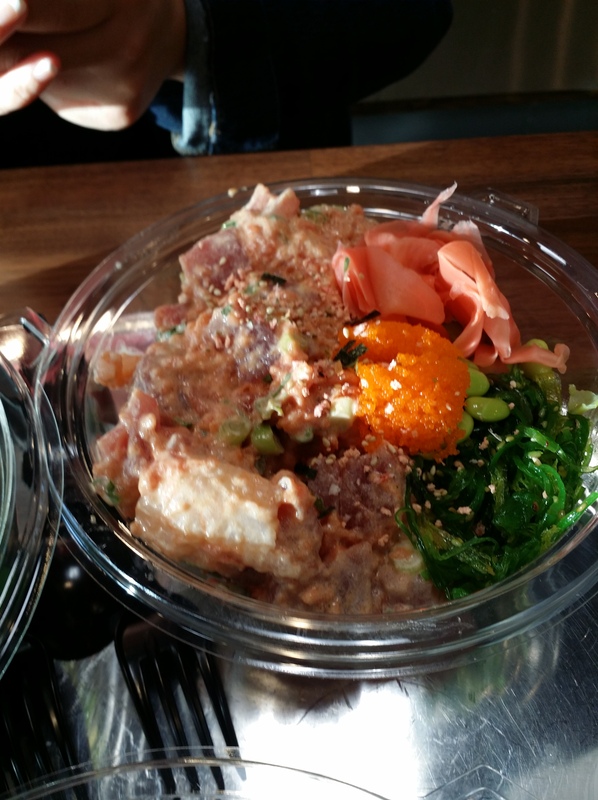 In addition to the Chinese Food, I got to try a particular dish that has seem to have become a new fad back in Sacramento – Poke (pronounced “Poke-Eh”). For those of you that don’t know what Poke is… its basically a Hawaiian dish that has raw fish (salmon or tuna), seasoned with an assortment of spices, and tossed with a such as soy sauce. I’ve had Poke before but it was in Hawaii. My best friend took me to this restaurant that just opened up called Hokee Poke. This particular restaurant reminds me of a Chipotle… but Asian Style. First, you pick size: regular or large. Regular has 3 scoops of protein and Large has 5 scoops of protein. Keep in mind though.. these scoops are small. I’d say about less than a fourth of a cup. Second, you pick your base which is either white rice, brown rice, a salad, or wonton chips. Third, you pick your protein which can either be Ahi Tuna, Salmon, Tofu, Shrimp, etc. Fourth, You pick your sauce. If I can remember correctly, they had 4 sauces: Original Shoyu (Soy Sauce), Creamy Miso, Ono Spicy, and Smokee Sesame. I had a sample of the Ono Spicy sauce and it was pretty spicy. I opted for the Creamy Miso. Lastly, You pick your add-ons. This ranged from Edameme, Onions, Avocado, Green Onions, etc. How’d it taste? It was good. Being someone who has been spoiled by freshly made Poke from Food Land on Oahu, I was a bit biased. All in all, the ingredients tasted fresh and prices was fairly decent. I’d encourage anyone who lives in the area to try this place out.